Motorcycling enthusiasts across the Hunter are set to benefit from a new online guide showcasing the most popular motorcycle rides in our region - from pristine coastlines to wine country roads and beyond. Council’s Road Safety and Traffic Officer Lisa Lovegrove says the publication has been a joint effort between Cessnock, Dungog, Maitland, Mid Coast and Port Stephens councils. 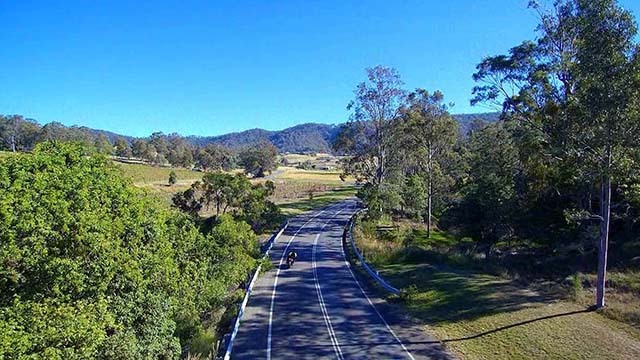 “The Hunter is home to some of the most popular motorcycling routes in NSW. In the five years to September 2018 there were 508 motorcycle crashes in the Hunter Council areas of Port Stephens, Maitland, Cessnock, Dungog and MidCoast. “We produced Motorcycling the Hunter to support motorcycling, showcase the best routes in the Hunter and promote safety for all riders. “Active motorcycle riders have been heavily involved in creating this publication, and they told us they wanted to be able to easily access routes wherever they may be. “Since our launch in October, more than 5000 copies have been taken up by the motorcycling community. We hope the launch of the online version will allow even more riders to safely enjoy motorcycling across our region. To download a copy of Motorcycling the Hunter’s online edition, visit our Road Safety page.